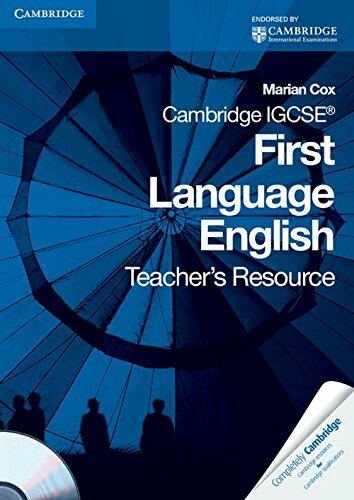 An invaluable resource for teachers of the Cambridge IGCSE First Language English syllabus (0500), providing comprehensive guidance and support. It complements the Coursebook and Workbook, and is accompanied by a CD-ROM. Presented in a photocopiable format, the Teacher's Resource Book includes: texts from different genres; structured lesson plans; worksheets and a scheme of work for the syllabus over two years. The accompanying CD-ROM includes: texts presented as PDF documents; worksheets from the Teacher's Resource book in Word format; support materials for teachers; and handouts and writing templates for students.